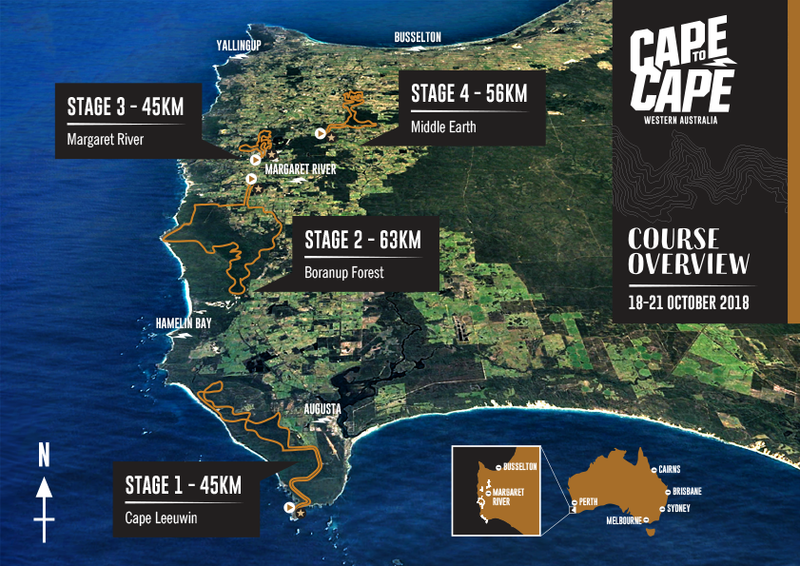 The Cape to Cape is Australia’s largest longest running and most popular four day MTB stage race. It’s on this October from the 18th to the 21st and features an iconic riding experience that includes access to stunning private stunning trails, vineyard visits, brewery finishes and some of the warmest hospitality the region has to offer. Stages range from 50 to 63 kilometres over the four-day event taking riders through unique landscapes of forest and coastal trails each morning. A mix of fast flowing single trail, farm tracks, groomed downhill trails and fire trails – many through private land that can only be ridden while racing the Cape to Cape. Afternoons are then free to explore the region’s other unique attractions. It starts at Cape Leeuwin lighthouse and finishing four days later at the famous Colonial Brewery, the course makes its way through a network of trails along the coast, through National Parks, forest, farm lands, mountain bike parks, and bush before finishing four days later back at Margaret River. There’s nothing too technical and it’s easily ridable for anyone with a reasonable level of fitness and MTB skills. Situated 51mins to the East of Margaret River, Holberry House is perfectly located as a training base for your preparations or a place to stay to recover and recharge. Bringing together around 1500 entrants in previous years, 70 or so elite riders start out at the front so riders in other categories can enjoy the trails in their own time without feeling anxious about holding others up. Staggered start waves mean participants take off with about 150 like-minded riders at a time and can opt for a later start.